People can send you mail in the game. If you get a mail you will see an Envelope up by this button. You can view your mail box by clicking it. You can compose new mail, add mail to your Kbox (Keep box), compose new mail, and add contacts. You can delete your mail by either clicking the trash can beside the message, or you can delete multiple mail by checking the mails you want deleted and scrolling down then selecting “Delete” and hitting “Go”. Catch all the latest buzz by visiting the forums. This place you can talk about almost anything! You can get feedback from players, talk about the game or even talk about what is going on in the world today. Read the rules first before you start posting. The forum is divided into these sections. 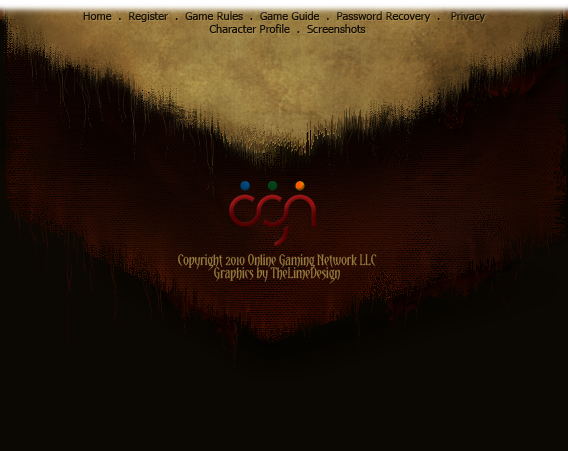 This forum is for the players that want to role play, share mini stories and things of the sort. Let your imagination run free here. This is the place to check out whenever you want to know what has been updated in the game. You can talk about anything you want to talk about that is related to Wardor. Share your kills, talk about what is going on with the markets and things of the sort. Have a brilliant idea for the game? Post it here. We love hearing your ideas that will better improve the game. If there is something wrong with the game then post it here so we can fix it as soon as possible. We want the game to be as enjoyable as possible without hindering players with small bugs. Talk about world events, your life, maybe a story about some friend or anything else that isn’t game related. Don’t understand something? You can post your question in here and someone will answer your questions and hopefully clear things up for you. If you are a Fort owner or co-owner you can access this forum. You can post players that are Fort abusers, Fort ideas or just general assistance with your Fort. If you are not a Fort owner or co-owner then you cannot see this forum. This forum is for Subscribers only. You can talk about a lot of things in this forum, but remember, only Subscribers can access this forum. Want to talk to people or play games? Well the chat is the place to be! You can go to Newbie Chat when you are first learning the game and someone will be in there to help you out. After 3 days you can come to the Local Meeting to hang out with a lot of nice and fun people. You can have a beer, play the Hi-Lo Game, or just chat with fellow players. If you want to trade items you can visit the Trade Chat and post what you are selling or buying and players can find you and set up the trades. If you want to challenge your brain a little bit you can visit Chat Quiz. In here there will be questions asked that you can answer. At the end of the month if you have the most points you will win a very nice prize! Go here to change different things about your account. It is broken up in 4 sections which will be described here briefly. Click the “Change Name” to change your name, it will cost you 1 Jasper to do this. If the name is taken it will say that it is. If you want to change your password then click “Change Password”. If you want another secret question that might be better then your current one then click on the “Change Secret Question”. Have a new e-mail address? You can update your e-mail address by clicking here. Like the old school layout or the new age layout? You can choose which one you like by clicking here. You can also put your character on Vacation if you are going to be away for awhile. Don’t want to see the webcams in the chat? Simply disable them here. If you want them back on just click it again. If you are a Subscriber then you can turn off the game adverts. The overview map is a way to view the Anadon and travel through it by directions (North, South, east, West). If you turn it off you can navigate through the Anadon with text links. When a player clicks your name they will come to your profile. If you edit your profile you can put a little description about yourself or say something important in the text box. If you are tired of being contacted by a certain player you can add them to your black wish. Just add there ID number and name by clicking “Add Blackwish” and typing them in the box. After you do that they will not be able to contact you anymore through mail. You can “View Blackwish List” to see who is on the list. If you have moved to another location you can change it right here. If you have quote you say, or maybe some one else said you can put it here to share with other players to see. Add a personal picture to your profile so people can see what you look like. Make sure your picture is decent though. You can put the addresses of the messengers that you use so that other people can add you to their messenger is they wish. If you have a webcam or microphone, or if you don’t, then you can edit it here so people can know if you have these items. You can change the color of your font you use to type in the chat by clicking here. You can pick a predefined color, or put in your own custom color to make yourself unique. Just like with the chat color you can change your forum name color by clicking here. This is where you go if you want to put in image as your signature after you post in the forum. You can also just put text in the box and this will show up after every post that you make in the forums. If you want to have an avatar that appears beside your post in the forums you can come here and upload an image that you want to be used. It must be in the dimensions though. The skills that you buy from either Skill Shop or Higher Learning will show up in here. In this section you can edit how often you want these skills to be used in battle. Different combinations will give you different results every battle. This option is only available to Ultra Subscribers. What this does is that it will heal your player whenever it takes damage. No more having to visit Wizard Ruben, he will heal you automatically. This is pretty self explanatory here. Click the button and your character will be logged off the game. It is recommended to log off after game play, especially if you are on a shared computer. Click this to come back to this game guide whenever you need to find out something, or simply because you forget something. This is the place you want to go to get a general idea of your character. This section is broken up into 7 sections. This sections shows things such as your IP address, this IP can only be seen by you so do not worry about other seeing it. It also shows your ID number that uniquely identifies you on the game, you may change your name on the game, but your ID will not change. Your current level is also shown and your experience till the next level is shown right below that so you can know how close you are to the next level. If you are put on someone’s Experience Stone(EXP Stone), then right below your level experience it will show your Shared Experience, that is, experience that a player has given to you. Below this you will see your current health, energy and your current age in the game. This section will show you your current battle record in the form wins/loses/total battles. It will show who the last person you killed as well as the last person to kill you. You can click these names to view their profile. Below that it will show your class (Scholar, Wizard, etc.). Your AP(Allocation Points) is next. AP is what you use to advance your skills. Every level you advance you gain 3 AP and 5 HP (Hitpoints). If you hit the “Use” button beside the AP you can decide which skill to use them on. Strength will make your attacks deal more damage. Agility will make you attack quicker. Defense will enable you to take less damage in battle. Wisdom is used for skill attacks. Reset Tokens are shown next, if you use these tokens then you will perform a game reset for yourself. Before you use this make sure you have used all your gym trains, mining turn, fishing casts etc. And finally, you will see your stats below the Reset Tokens. This section basically tells you if you are just a Member or a Subscriber. If you are a Subscriber it will tell you how many subscription days you have left. This section will tell you your rank in the game, that is, if you are a Member, [orange]Helper[/orange], [blue]Staff[/blue], or an [yellow]Admin[/yellow]. It will also tell how many times you have logged into the game and the e-mail you provided when you signed up your account. If you are in a Fort then this section will show which Fort you are currently in and what you rank in the Fort is. If you are not in a Fort then it will simply say: “Fort: None”. This section will show you how much gold you have on hand, how much gold you have in the bank, as well as how much Rhodium, Sunstone, Burelia and Alethite you have. If you are in a Fort, then this section will show you how much Gold, Rhodium, Jasper, and Experience you have donated to the Fort. This place is where all your records go. You can see everything that has happened with the “All” view. To see the important things such as Dwelling interest, added Spectra, Friend Requests, Date Requests, Seances, Trades, Outpost updates, and things of the sort, then use the “Important” view. If you want to see only your battle logs then click “Battle”. If you want to see all your Outpost attacks then use the “Outpost” view. This is the place where everything takes place so this will be explained in more detail in another section. The Anadons consist of the Wargrounds, the Docks, the City Limits, the Shopping District, the City Centre, the Forest, the Business Zone, the City Market, and the Mountains. If you need to go anywhere or do anything, you will find it in this place. This is where the action takes place. This is the PvP (Player vs. Player) part of the game. You can attack most players but be wary of the battle caps. There is a battle cap at level 5 and 30. What this means is if you are level 5 you cannot attack and players lower than level 5, if you are level 30 you cannot attack any players lower then level 30. There is no restriction on the players you can attack that are higher then you, but there are restrictions on the number of players you can attack below your level. You can search for a certain player by their name. If you know it then type it in the search box. You can create custom searches that tailor your needs. So say I was level 60, I am only allowed to attack players 15 levels below me and I think I can attack anyone at level 70 and beat them. So I go to custom search and put minimum level at 45 and max level at 70. Also I do not want to attack anyone in my Fort so I tick the “Is not in my Fort” button. I also do not want to attack players that are all ready dead, in jail or on vacation, so I tick those boxes too. I also would like to attack any players that have gold on hand so I order my search by “Gold in hand” and sort from High > Low, then I save trace. Now whenever I go into the Ven I can kill a player, repeat my last saved search and continue on my way with the same settings. This is one of the most important places to go in the game. This guy heals you when you are dead or wounded. If you are a member of a Fort that offers free healing then when you come here you will be healed for free by just clicking the “Healed” button. If you are not a member of a Fort, or you Fort does not offer free healing then you must pay for healing based on your current level. The higher your level the more it costs to be healed. The amount of gold it takes to be healed is taken from the gold in hand, not the gold in the bank. This is the direct link to your current Fort. The Fort has a lot of important information. When you go to the page you will see the banner (if they have one) and you will see the private Fort message (if one is posted). Next you will notice all the Fort Officers followed by the number of members the Fort has. Below this you will see the Fort Tag followed by the Gold, Rhodium and Jasper that the Fort has. The clans level and the experience needed to gain another level is shown next. Then you will notice the clans Tax (if they have any), this tax is paid out automatically. You will then see how many wins and losses that the Fort has had for the entire month and then you will see the Healing Pass days that remain, this is how you know if the Fort has free healing. Below all that information you will see the Fort news with things such as donation, member joins/leaves, as well as member donations and promotions. Below this you will see some Fort member options. “View Members” is the list of all the Fort members. “View Ranks” shows the ranks of every member in the Fort. “Fort Forum” will take you to the forum section of your Fort where you can post topics and talk about things you might do in game. “View Loans” is where you go to see who currently has a loan taken out. “Donate” is where you go to donate items such as Gold, Rhodium and Jasper. “Quit” is where you go if you want to leave your Fort. Sometimes a Fort might have a website, if they do you will see a “Fort Website” link, if you click it then you will be directed to the Fort website. Here is where all your funds should go. You shouldn’t keep gold in hand unless you are dead and plan on buying things. If you have gold on hand and get killed then you will lose your gold. Its best to put all your money in the bank for safe keeping. The Bank is also the place you want to go to view your current loans or the grant loans to other players. This is where you want to go if you want to see your friends that have accepted your friend requests. You can go to a players profile and add them as friend but they will need to accept before they are put on your list. Also you can go here and hit the “Add a New Friend” and then type the ID number in. Also you can view your friend requests by going to the “Friend Requests” and accepting or declining the pending requests. Please click the menu items at the top of the screen to view more information on the game. If you have a problem that is not releated to any point in this guide then please feel free to email a staff member at staff@Wardor.net. 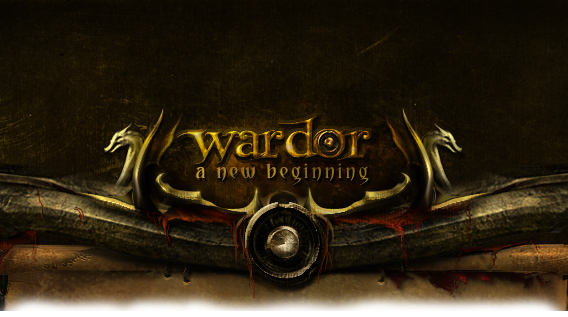 To get in direct contact of the main Wardor developer he is avable at relations@onlinegamingnetwork.net. This guide is only meant to help you and teach you how to play Wardor to get the most out of the game. None of these tips or instructions are required in anyway.